The distributer of the New York Times has encouraged President Donald Trump not to keep naming correspondents "adversaries of the general population", saying it could "prompt viciousness" against the media. AG Sulzberger made the subtle elements of their confidentially meeting open after Mr Trump tweeted about it. In his underlying tweet, the president said it had been a "decent" meeting. Yet, he later blamed media for putting individuals' lives in danger through their revealing. His first tweet read: "Invested much energy discussing the immense measures of Fake News being put out by the media and how that Fake News has transformed into express, 'Adversary of the People.' Sad!" He didn't allude to his own particular rehashed utilization of the expression. The New York Times at that point discharged its announcement, saying it had chosen to "react to the president's characterisation of their discussion". Rude awakening: Are writers progressively under assault? 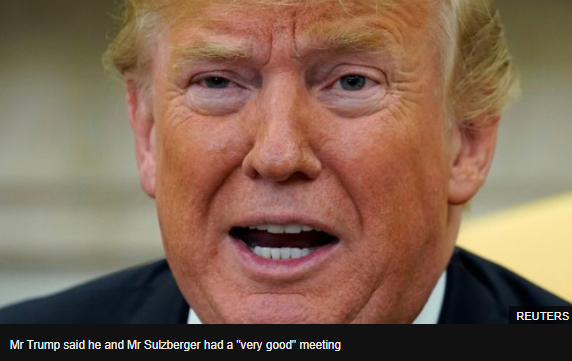 Mr Sulzberger said he had acknowledged the gathering with Mr Trump to raise worries about the president's "profoundly alarming hostile to squeeze talk". He said he revealed to Mr Trump that the expression "counterfeit news" was "false and destructive" yet said he was "unquestionably worried about his naming writers 'the adversary of the general population'". "I cautioned that this fiery dialect is adding to an ascent in dangers against columnists and will prompt viciousness," he said. Mr Sulzberger said he had told the president this was especially valid in different nations, where he said Mr Trump's talk was being utilized by a few administrations to take action against columnists. "I cautioned that it was putting lives in danger, that it was undermining the popularity based standards of our country, and that it was disintegrating one of our nation's most prominent fares: a pledge to free discourse and a free press," he said. 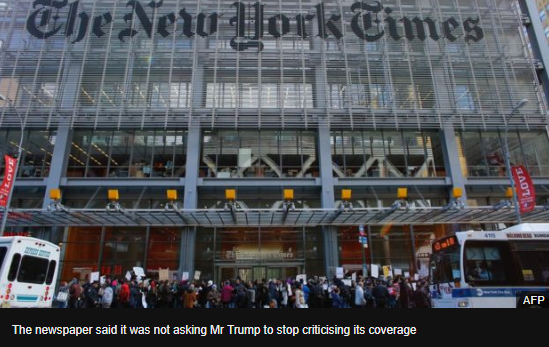 The New York Times distributer said he was not requesting that Mr Trump not scrutinize his daily paper in the event that he was troubled with its scope yet requesting that he "rethink his more extensive assaults on news-casting". After Mr Sulzberger's announcement was made open, Mr Trump seemed to react, tweeting that media giving an account of the "interior considerations" of government "really puts the lives of many, not only writers, in danger". 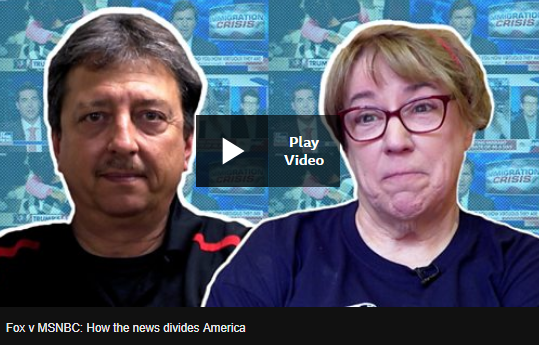 He said the media was being "made crazy by their Trump Derangement Syndrome" and blamed them for stating "awful stories even on exceptionally positive accomplishments".